I love color. I have been painting since I was quite young and one of my favorite aspects of the process is mixing pigments and matching colors; I find it extremely gratifying. I also always notice color and light. It’s entrancing. There are times when I am in a hectic/manic/mad-dash rush but if the sun is hitting the green on the leaves just right it will stop me in my tracks. Light is magical. It makes colors move and can change my mood instantaneously. Needless to say I had a lot of fun with this project. 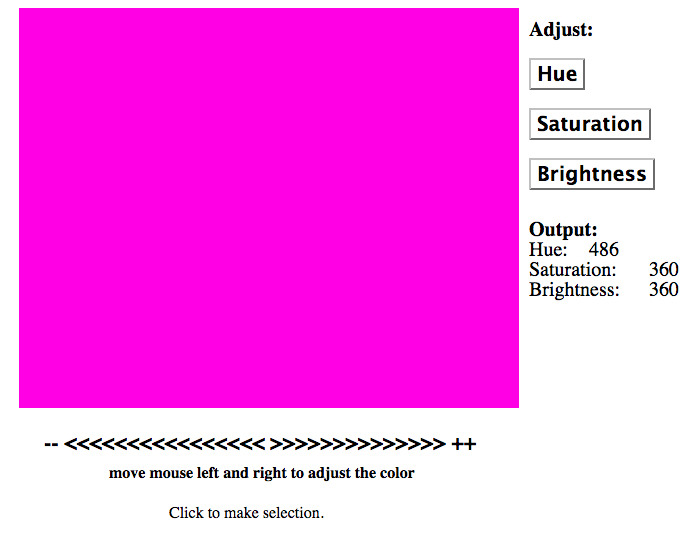 RGB MATCH – a game where you match colors by mixing rbg values.